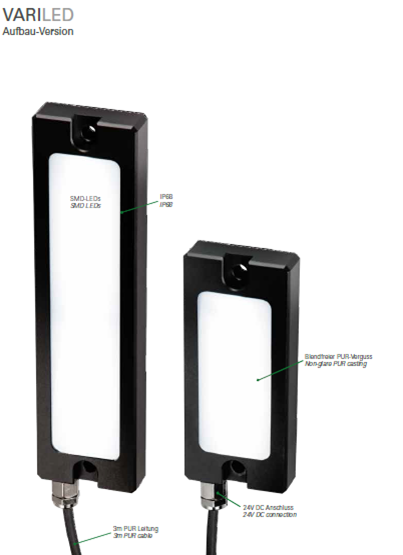 Flat, durable and IP68-rated - these are the features of the new VARILED industrial lighting series. The mounting version for initial installation and retrofitting of machines, systems and workstations is protected against external influences due to a subdued casting model and features the IP68 degree of protec- tion. 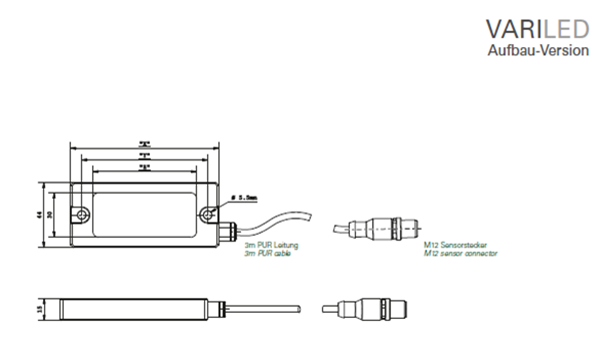 The power connection is carried out directly via 24V DC. The VARILED provides for uniform and low-glare lighting thanks to the wide beam angle of 120° in conjunction with the subdued casting model.